EVO-STIK supports grassroots football through its proud sponsorship of The Northern Premier League and The Southern Football League – covering 136 teams across 6 divisions in North, Central, South & West England and South Wales. 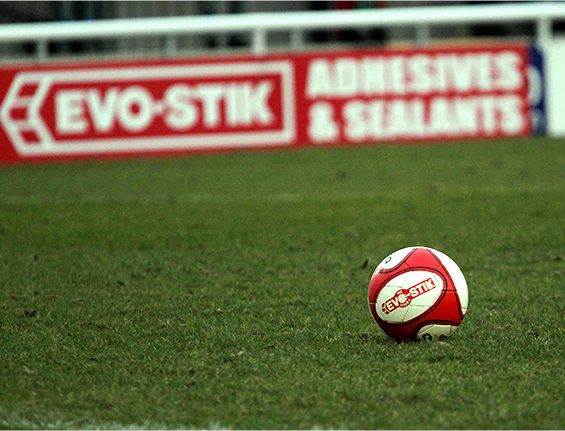 The sponsorship provides national exposure for EVO-STIK across league and club websites, as well as in TV, radio and newspaper results and roundups. You’ll also find our brand on entrance and perimeter boards at all grounds, as well as in match day programmes and on team kit badges, footballs and bench wear.